Discussion in 'Free Hosting' started by wooprapp, Apr 10, 2019.
so I'm new to Laravel and Lumen. From what I've learned is that Lumen is Laravel's lightweight version which is a lot faster (and great for designing an API). So, I've been studying Lumen trying to figure out how it works. I set up my x10 PHP Version 7.2 (and its plugins/addons), I've also moved my "/public" into my root "/". The root "/" works but no other routes work (everything works locally, but not on x10)... 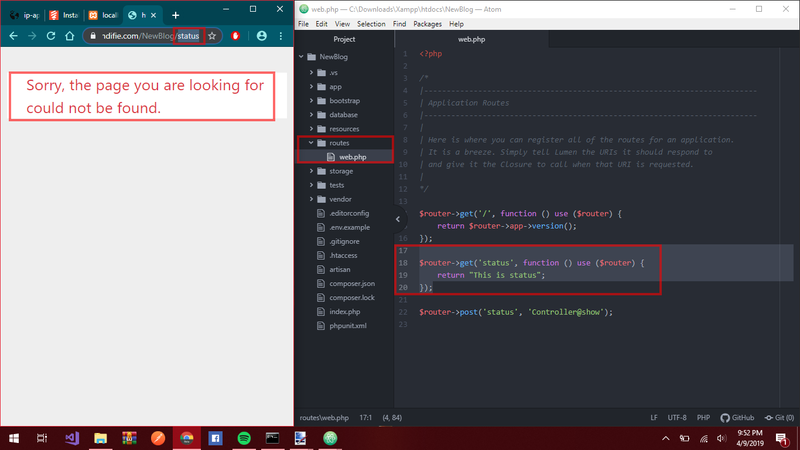 I've posted on Laravel's Community forums and no one's responding. Can anyone please help me resolve this issue? 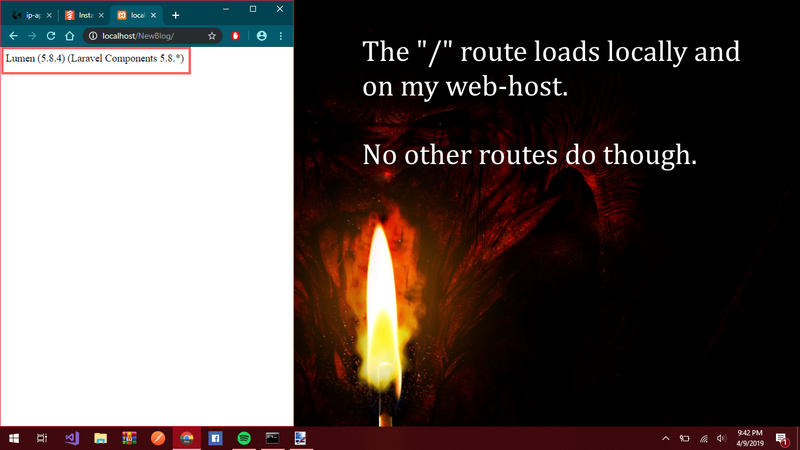 When I go to the root "/" it takes me to "/NewBlog" then once I replace the "NewBlog" it set with my route "status" or "test" it'll display their results on the screen.